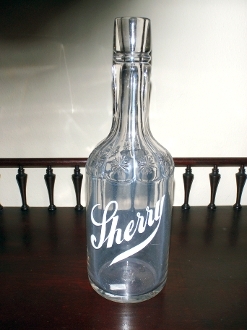 Sherry back bar bottle with porcalain letters & star burst motif on neck of bottle. Bottle stands 11 1/4". No chips on lip of bottle. Nice heavy bottle.